Cuba is a photographer's paradise. Stuck between a rock and a hard place Cuba has been hampered twice; first by the US embargo, then again in 1990 when the Soviet Union collapsed. 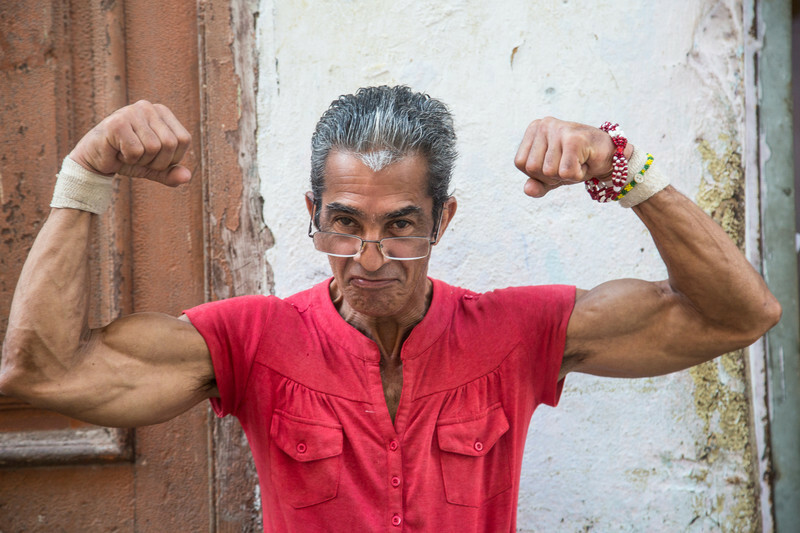 With no funds to repair the ancient buildings, Vieja Havana provides the tourist with a picaresque backdrop for interesting cityscapes in addition to a colorful people more than willing to have their photos taken especially for a "propina" (tip). For one week in January I signed on with Cindy and Eileen of Profundo Journeys to travel to Cuba under a general license as a group of professional photographers. We spent most of the time in Havana on the north coast and a short 3 days in Cienfuegos and Trinidad on the south coast. For the first time since owning this fairly new camera I used the Canon 5D III's HDR feature quite frequently. Choosing the High Dynamic Range function instructs the camera to take three separate images at three different exposures in quick succession and then combine them in the camera into one. This expands the amount of light the sensor can record to include elements that might have otherwise been under or over-exposed. Many of the images in this collection are made with this feature. They usually have more intense color than those taken with one exposure.